Every year on April 2, World Autism Awareness Day is observed by the United Nations to improve global understanding of the disorder. Autism Spectrum Disorder or simply autism, is a complex neurodevelopmental disorder that begins during childhood, lasting all the way to adulthood. The disorder impairs three key areas – communication, social interaction and creative play. Although there has been an improved awareness of autism today, a lot is still unknown. Factors such as genetics and environment have been named as the causes of autism. Parental concerns about the disorder have led to fearmongering, giving rise to problems like vaccine paranoia. But if you are worried about your child developing autism, these are the only risk factors you should fear. According to research, autism starts taking form during the early years when the brain starts developing. Although genetics have been widely implied as the cause, till now, researchers have not been able to attribute one common cause to all cases. 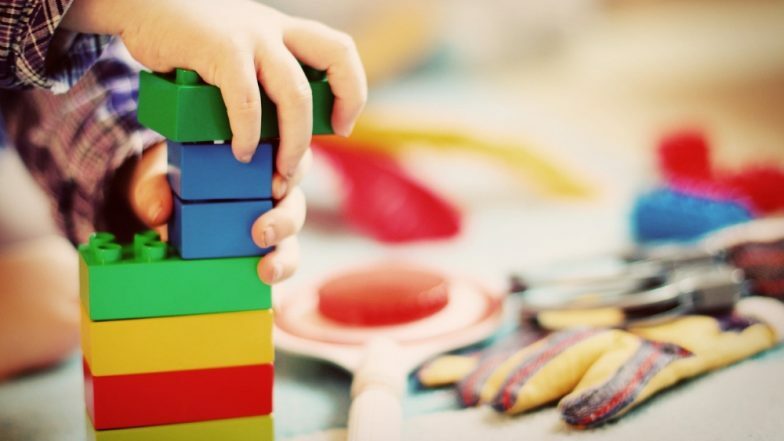 "Research on the causative factors for Autism are rather inconsistent and incomplete," says Dr Fabian Almeida Consultant Psychiatrist, Fortis Hospital Kalyan, as he names some environmental factors can also increase your child's risk of autism. People who marry and procreate in the later years of life have a greater chance of begetting an autistic child. In both genders, a parental age of 34 or more has been associated with an increased risk of autism in their children. According to a 2010 study on Iranian people, it was found that the risk increased by 29 percent for every 10-year-elevation in the father's age. Even in women, the child's risk of autism accelerates if the mother is above the age of 30. Consanguineous marriage refers to marriage between blood relatives. Like in India, marriage between cousins or between uncles and nieces are quite common. Such marriages often cause genetic defects like autosomal recessive diseases, mental retardation and autism. A study titled Consanguinity in India and its association with autism spectrum disorder published in 2014 assessed the role of consanguineous marriages and concluded that marriage between blood relatives can increase autism risk with an odds ratio of 3.22. Mothers should be wary of using medication during pregnancy guidance from their physician. A study says that prenatal medication can be associated with a 46 percent increased risk of foetus autism. The chemicals in these drugs can cross the placental barrier and disturb the development of the foetus. Some of the common offenders include prenatal psychiatric medication, antiepileptic drugs, asthma medication like terbutaline, gastric ulcer drugs, painkillers like thalidomide and even "safe" drugs such as paracetamol. If the mother has had a particularly risky childbirth involving bleeding or infections, it can increase the child's risk of autism. Risk factors such as bleeding during pregnancy, foetal distress, umbilical-cord complications and c-section delivery can all cause hypoxia or a lack of oxygen supply to the foetus. These risks can consequently increase the risk of the child developing autism. Mother's health largely determines the health of the child. So if the expectant mother has gestational diabetes, the risk of the child developing autism goes up by 40 percent, according to a study conducted on 320,000 children and their mothers. That's why it is important for women to closely monitor their blood sugar levels during pregnancy. Pregnancies in quick succession, with as little as a year-long gap between the two, can increase the risk of autism. Ideally, a gap of 2-5 years between pregnancies is recommended, according to the findings of a study published in the Journal of American Academy of Child and Adolescent Psychiatry. It's common knowledge that during pregnancy, expectant mothers are told to keep away from harmful vices like smoking, drinking and drug habits. Harmful substances like polycyclic aromatic hydrocarbons, metals, and other chemicals may cross over to the foetus through the mother's blood and cause foetal hypoxia and affect the child's brain development. This could increase the risk of autism in the child. Mental stress can be particularly bad for an expectant mother. Since the mother's emotional state tends to impact foetal health, extreme mental turmoil like occupational and personal stress should be avoided. Pregnant women exposed to stressful living conditions, financial problems and loneliness can expose their children to brain disorders such as autism. Even the absence of mother-infant emotional bonding can pose some risk to the child. Lack of emotional connect can affect postnatal development of neural and signalling pathways and secretion of hormones such as dopamine, oxytocin and serotonin. All this can increase the child's susceptibility to autism. Dr Almeida says that all stages of conception, intrauterine growth, delivery process and post-delivery events can contribute to the development of Autism in a child. Although avoiding these risk factors can bring down the risk of autism substantially, we are still mostly groping in the dark about the exact factors that cause the developmental disorder.